Hollywood took another swipe at President Donald Trump and First Lady Melania Trump when they were mentioned among the 39th annual Razzie Award nominations. Here’s part of the list of the actors, actresses, movies and directors who were nominated for the worst work of the year. The full list can be viewed here. 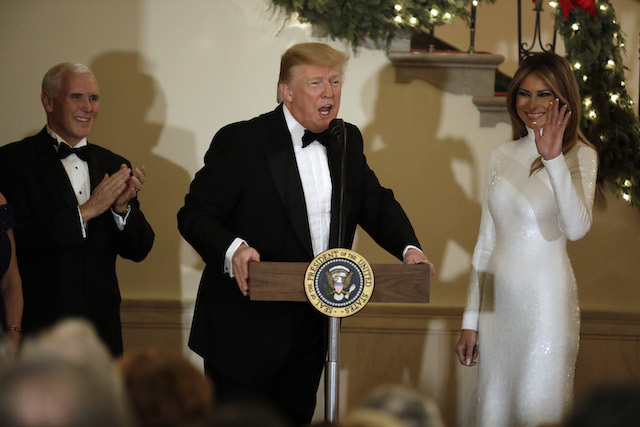 It was just the latest attack on the first lady and Trump from Hollywood and celebrities, which has been non-stop since he was sworn in as president.